Judges bribery case: Supreme Court overturns 2-judge bench order, says CJI "is the master of the court"
The larger bench today took strong exception to the order passed by the two-judge bench and said no bench can take up a matter unless allocated by the CJI who "is the master of the court." 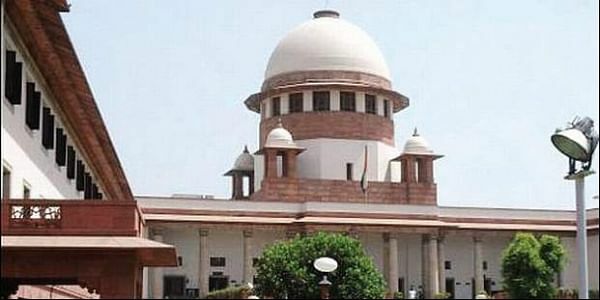 NEW DELHI: A five-judge Constitution Bench of the Supreme Court today overturned an order of a two-judge bench to set up a larger bench to hear a matter of alleged bribes taken in the name of judges, saying the Chief Justice of India was the "master of the court" and had the sole prerogative to allocate matters. The bench, also comprising Justices R K Agrawal, Arun Mishra, Amitava Roy and A M Khanwilkar, annuled yesterday's order of the bench of Justices J Chelameswar and S Abdul Nazeer directing the constitution of a bench of five senior- most judges of the apex court to hear the matter. The larger bench today took strong exception to the order passed by the two-judge bench and said no bench can take up a matter unless allocated by the CJI who "is the master of the court." The CJI-headed bench said allocation of matters by the CJI was the principle of law, judicial discipline and the decorum of the court. The CJI also refused to gag the media from reporting the case, saying "I believe in Freedom of Speech, Expression and the Press." The CJI told advocate Prashant Bhushan, who appeared for NGO 'Campaign for Judicial Accountability' and advocate Kamini Jaiswal, that he has levelled "wild allegations" against him (Justice Misra) in a matter in which CBI had lodged a corruption case.